Your cat deserves the best pet supplement the world has to offer. That’s what’s in this package. 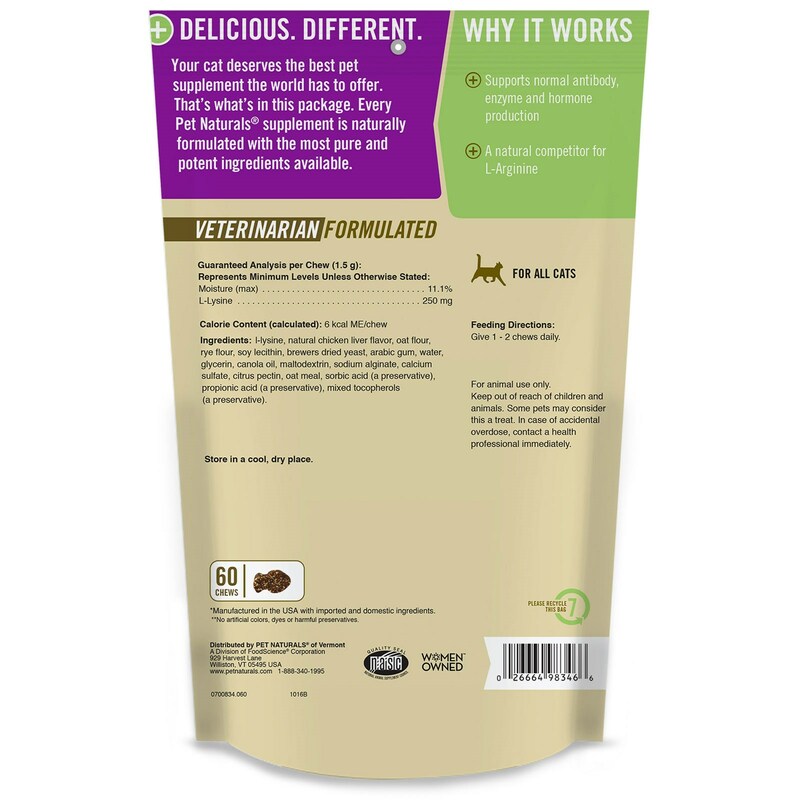 Every Pet Naturals supplement is naturally formulated with the most pure and potent ingredients available. Feeding Directions: Give 1-2 chews daily. 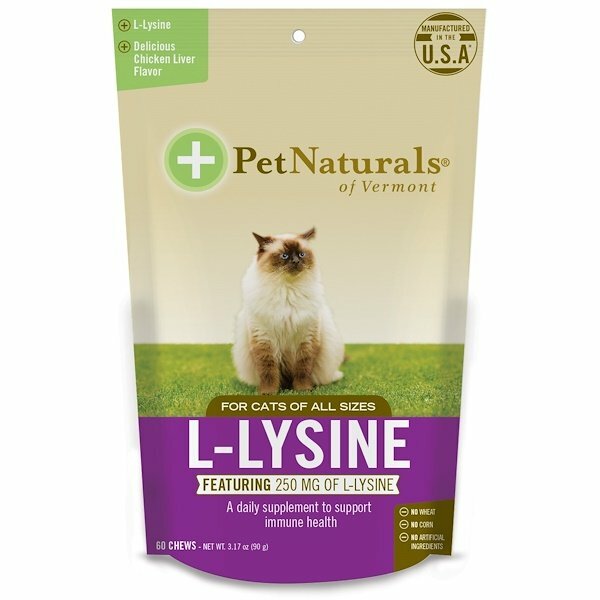 L-lysine, natural chicken liver flavor, oat flour, rye flour, soy lecithin, brewers dried yeast, Arabic gum, water, glycerin, canola oil, maltodextrin, sodium alginate, calcium sulfate, citrus pectin, oat meal, sorbic acid (a preservative), propionic acid (a preservative), mixed tocopherols (a preservative). No artificial colors, dyes or harmful preservatives. Keep out of the reach of children and animals. Your pet may consider this a treat. In case of accidental overdose, contact a health professional immediately.